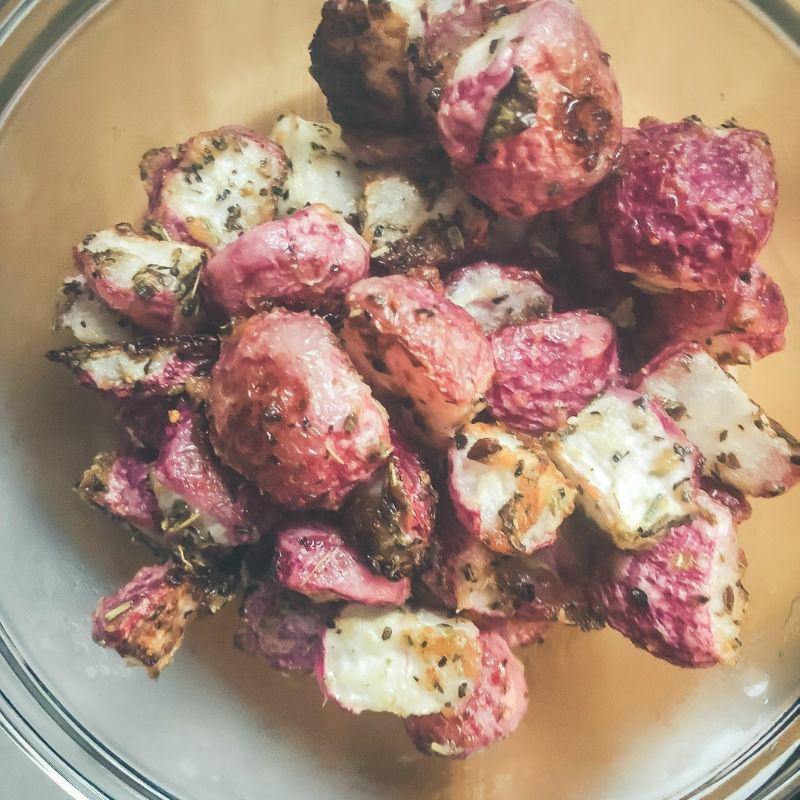 As a former roasted potato finatic, I can assure you these garlic parm roasted radishes are almost just as good as the real thing. 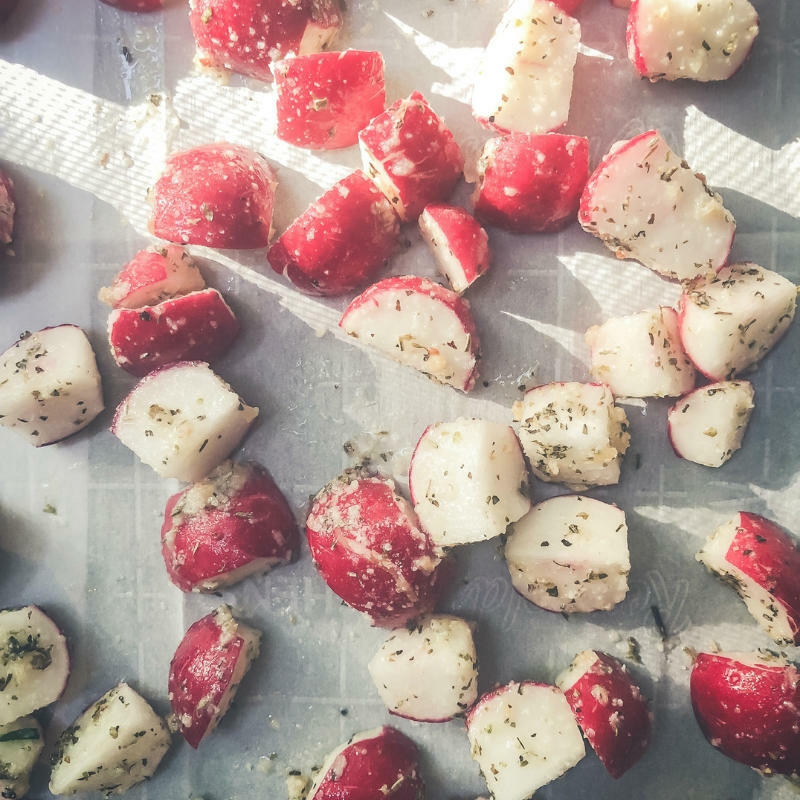 While a radish can NEVER be a potato, when seasoned and roasted right, they are so close to pa-tates you barely (barely) know the difference. If you asked me, I think radishes are one of the most underrated root veggies in the land. Maybe I’ve just been living under a rock my whole life, but the only time I ever really thought or heard of radishes was on Fraggle Rock (OMG, Fraggles). The very first time I tried a radish was a few summers ago when we tried out Sun Basket. Other than that, it wasn’t until a few months ago that I realized roasted radishes are my new jammity-jam. 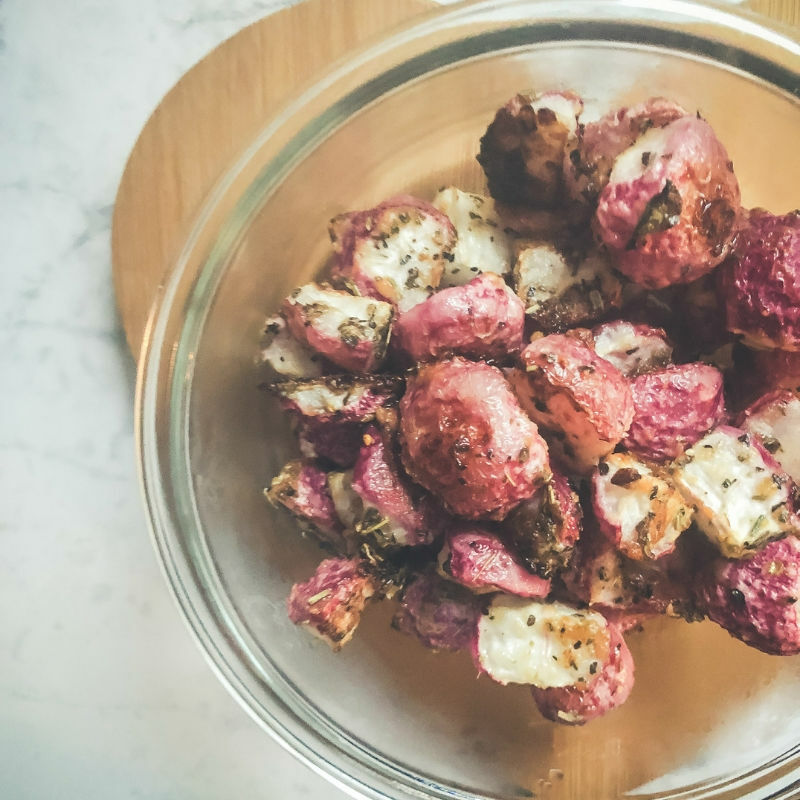 If you don’t love the sharp radishy taste you get with a raw radish, give these roasted radishes a try. I’m not a huge fan of that flavor and I absolutely love them in this format. Also important to note for those of you eating low carb or keto, they are only 1g net carb per 100 g serving. So, they are an excellent veggie to add to your weekly meal plan. If you follow along, you know that 90% of my recipes are hyper-easy to make. 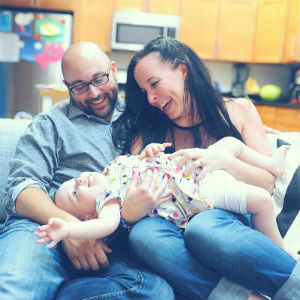 I am a very busy Mama who’s got zero time to get fancy in the kitchen, so whenever I’m in it, you can bet I’m trying to figure out the easiest, fastest way to get the job done. That said, it’s gotta taste amazing too. Who says you can’t have it all? 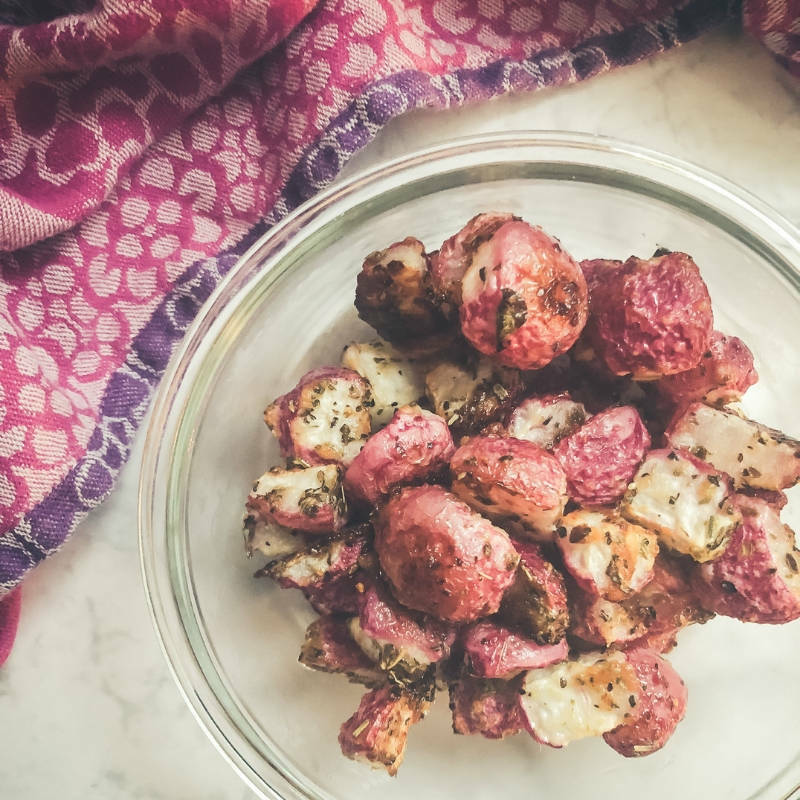 These roasted radishes couldn’t be easier to prepare. After I wash them and remove the green stem/stalky things, I cut them in quarters and place them in a large bowl to be seasoned. You can season them however you wish, but I like to keep it kinda simple – a little garlic, some parmesan cheese, some Italian seasoning, a little pepper and a pinch of sea salt. I like to toss them in EVOO or Avocado oil and then season them up good. The key here for me is to roast them for at least 40 minutes. I have a hard and fast rule for most roasted veggies – roast at 400 degrees for 40 minutes. This seems to work best for almost all the veggies we roast. We like them a bit crispy and browned so if you like them a bit more “fresh-crisp” than you may want to reduce the baking time to twenty minutes and see how they are for you. 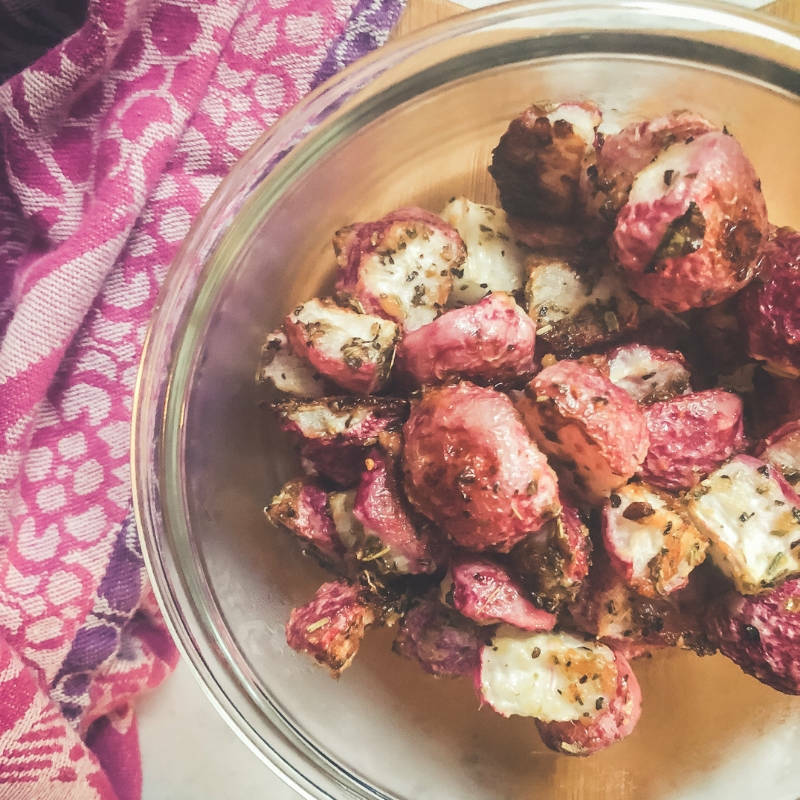 This super duper simple roasted radishes recipe is below – we usually pair them with some Salmon or Steak. OMG. I’m starving now. Hope you love em’ as much as we do. 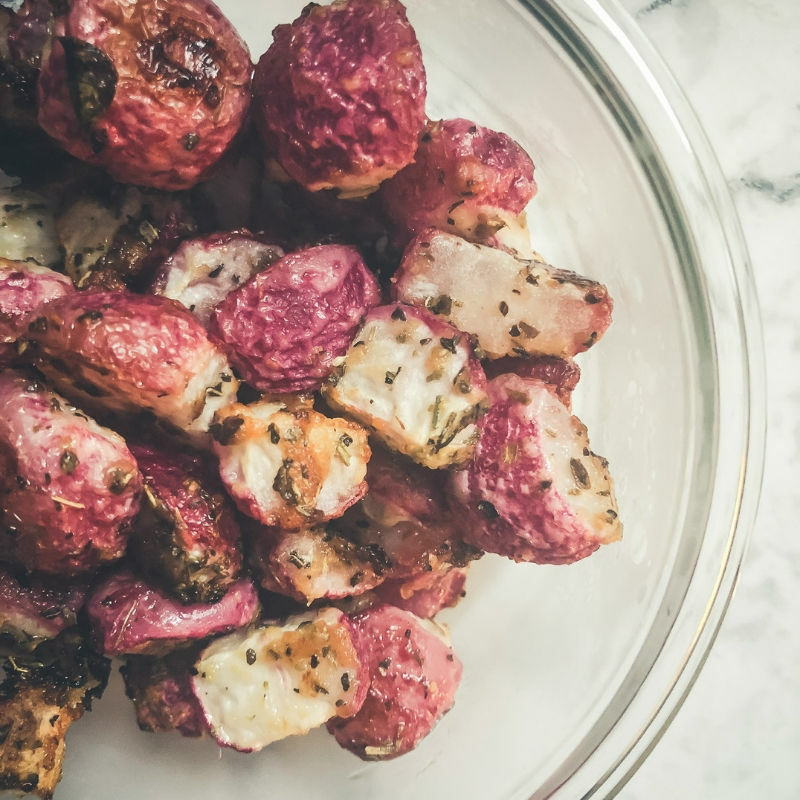 I can't believe how much these roasted radishes taste like roasted potatoes. When seasoned right, they taste almost as good as the real thing. 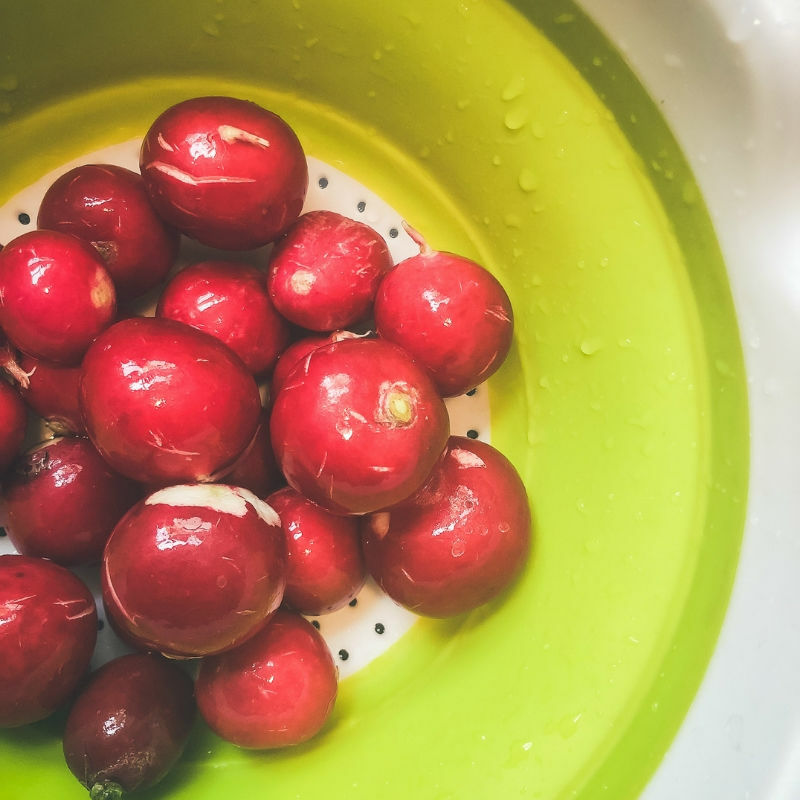 Wash radishes and slice in quarters. Place in large bowl and toss with EVOO and minced garlic. Place radishes on baking dish (so that they are not touching, if possible). Sprinkle with parmesan cheese, salt and pepper (to your liking) and, if desired, additional seasoning (such as italian seasoning, bagel seasoning, etc. to your liking). Shake pan so toppings blend well with all of the radishes. Roast for 40-45 minutes or to desired crispness. For extra crisp, broil on high for 2-4 minutes at the end of the roasting period. Enjoy! MAKE THESE LOW CARB CHOCOLATE CREAM CHEESE MUFFINS FOR DESSERT!